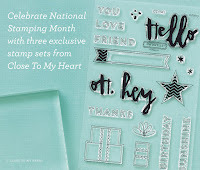 Hello and welcome aboard the September "National Stamping Month" Blog Hop. or you may have joined in from here! 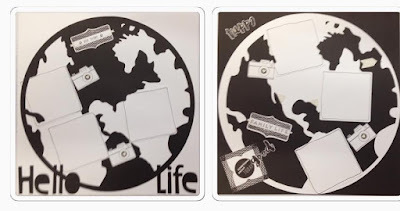 Simply read through this post and click on the link at the link for the next Consultant at the bottom to hop to the next blog. 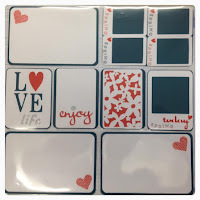 10 fellow Consultants have joined in this blog hop! Keep hopping until you find yourself back here! 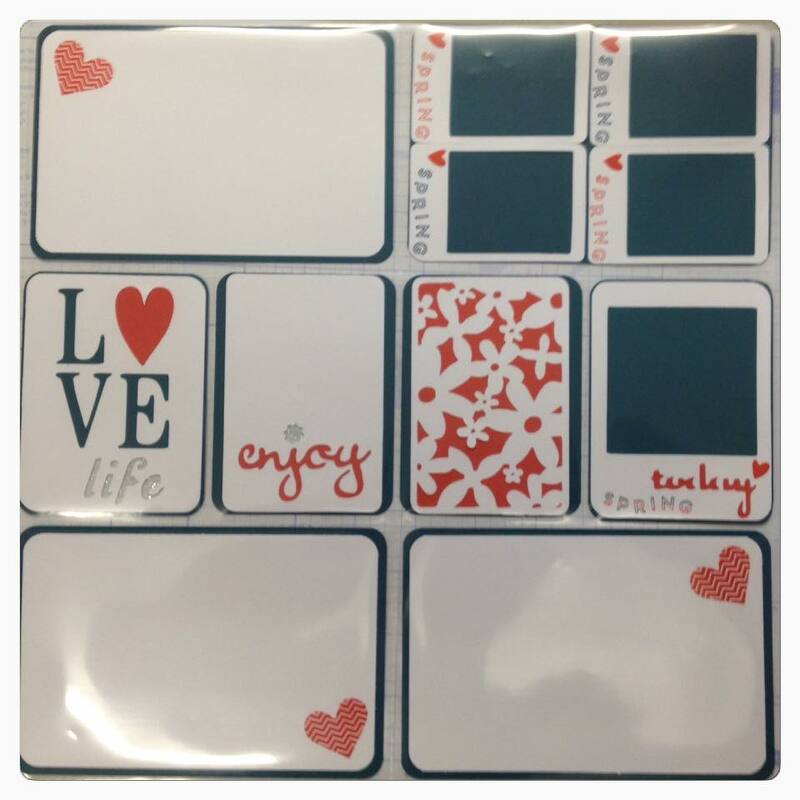 Each blog post features the Hello Life stamp sets! 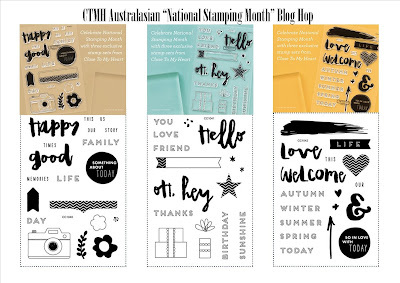 September  is National Stamping Month and this year Close To My Heart have released the "Hello Life" series of My Acrylix Stamps - availabls as a single purchase or purchase all three for $53 [saving $10]! 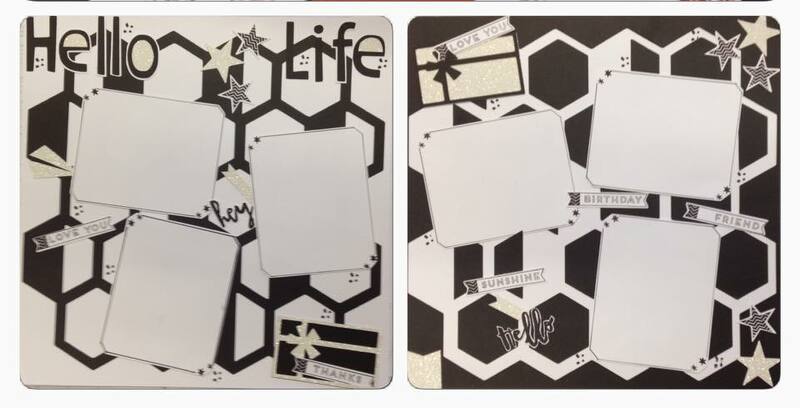 Each stamp set is designed to fit with a specific type of papercrafting! 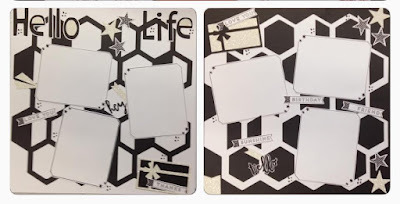 Traditional Scrapbooking; Cardmaking; or Pocket Scrapbooking! Yet, all the stamp sets coordinate with each other and can be used together to create dynamic artwork. These stamp sets are only available during September. 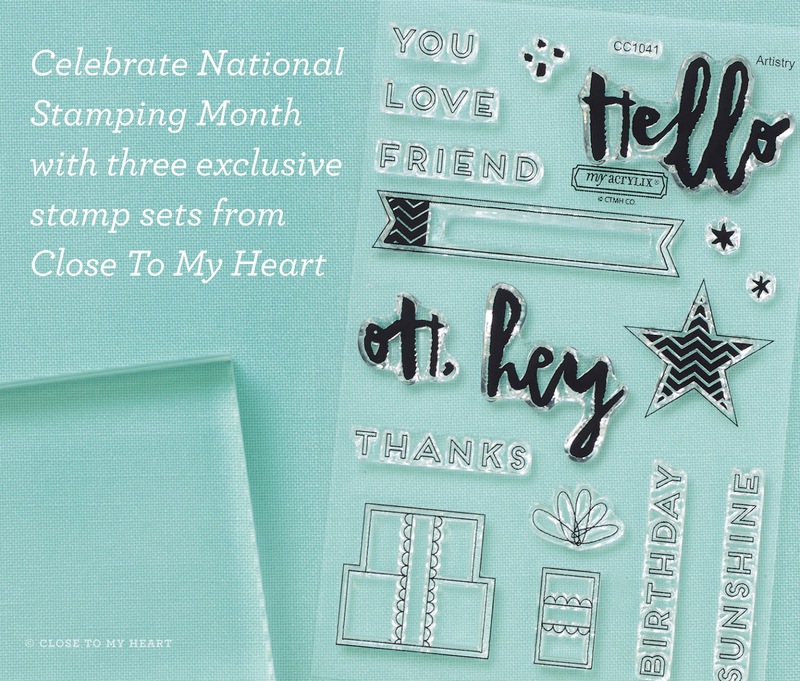 Also follow the Close To My Heart Facebook, Instagram and Make It From Your Heart Blog for artwork inspiration featuring these lovely stamp sets all month long. National Stamping Month Hello Life stamp sets are available exclusively throughout September for $21 each each or $53 for the set of 3. Contact Mez for more information. 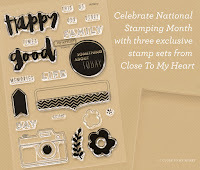 Hope you have enjoyed these ideas using the September "National Stamping Month" stamps, showcased in this "National Stamping Month" Blog Hop and thank you for stopping by! 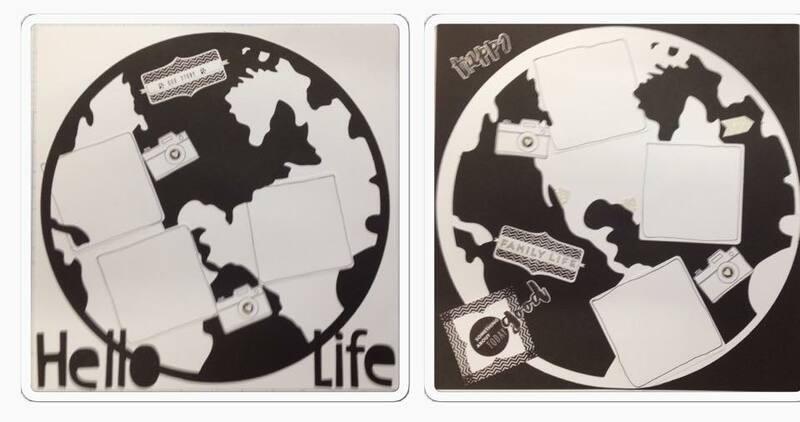 Your comments would be greatly appreciated, please leave a comment before heading off to the next stop. 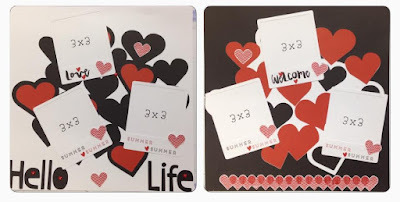 Thank you for Blog Hopping, before heading off please leave a comment, it is greatly appreciated. 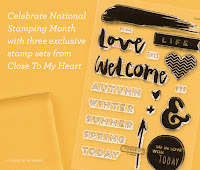 Contact your Close To My Heart consultant or Mez to schedule your event or for more information!